Manual order tracking and order lookup in Shopify takes time. With a cloud help desk, you can organize your customer information into a single place, check conversation history, and more. When you receive a customer request on your ecommerce store, there’s a lot of customer information needed. If you have to check the status of an order or perform an order lookup in Shopify, you will be needing the relevant customer information. Your customer service agents should have this information on hand: as the search in your Shopify account is time-consuming for both your customer and your team, and further extends help desk response time. You may also have to check your customer’s ticket activity with your support team to make sure they don’t already have an existing ticket, wasting even more time that could be spent helping other customers. 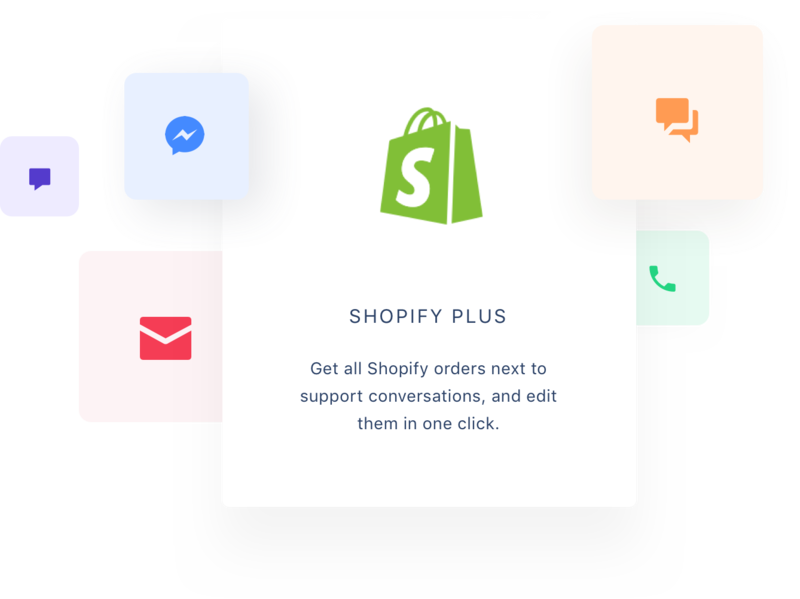 If you want to achieve maximum efficiency with your Shopify customer service, you need to minimize the time spent on each customer without sacrificing the quality of service. 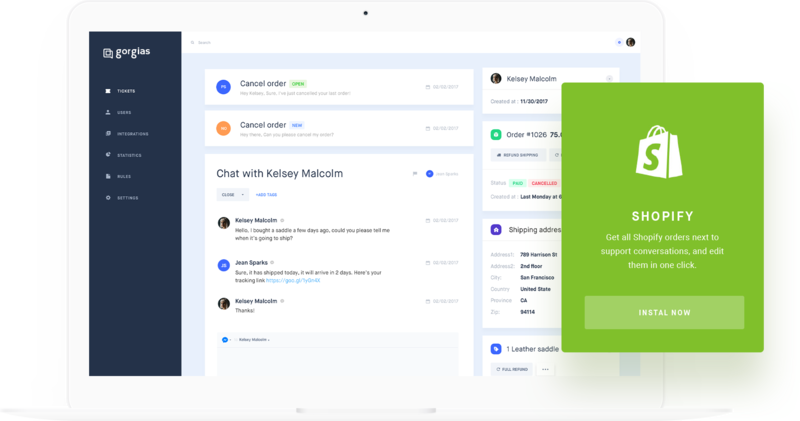 Gorgias is a cloud help desk that takes customer requests from a variety of support channels and organizes them all into a single help desk app. They come from Facebook, Instagram, Gmail, Aircall and most other customer service channels. 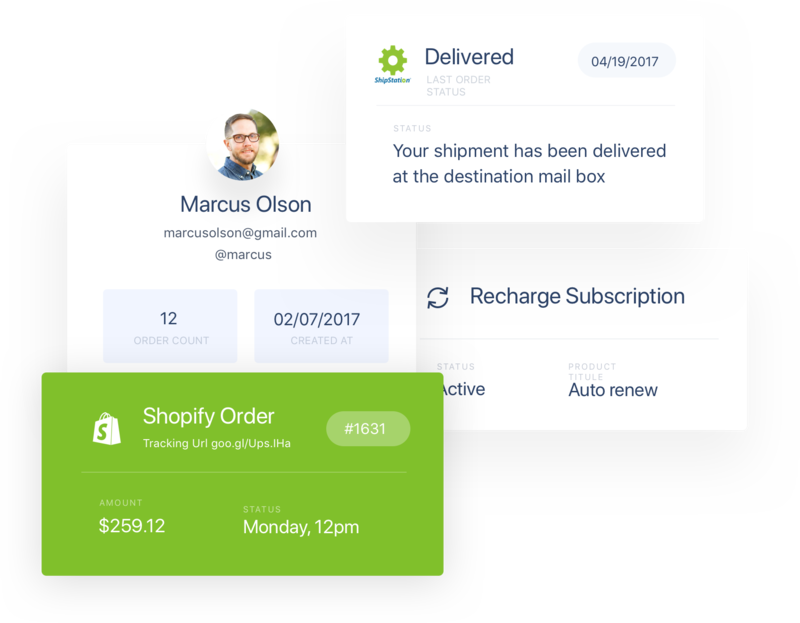 From your ecommerce store help desk, you can check the status of an order, monitor ticket activity, check conversation history, and more without switching through social media messages, email, and livechat. This works to improve help desk response time, improving the customer experience and making customers more likely to return to your ecommerce store. A quality customer service experience from the very beginning also increases the chance of cart conversion and brand loyalty. 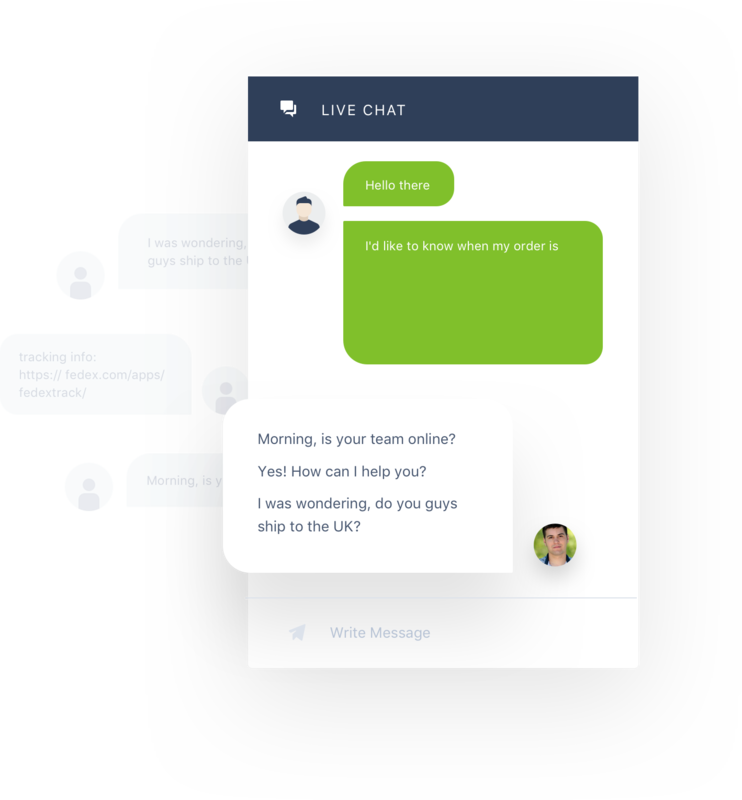 To further improve your response time when replying to customer requests, you can implement automation in the form of auto responders and auto commenters. These instantly reply to customer requests and trouble tickets based on the content of the messages you receive. For example Gorgias utilizes automation to provide order tracking and shipping information straight from the cloud help desk. You can set an autoresponder that will perform an order lookup in shopify, providing order tracking and shipping information. They are triggered by the message itself, the customer information, or the conversation history and work to further improve help desk response time. Gorgias’ automation features also enable you to organise, sort and assign your tickets to create the most time-efficient help desk: you can choose to label or assign tickets based on their content, their urgency or even on the cart value of your customers to provide even better customer service to targeted customers and requests. Gorgias provides all the tools you could need for your ecommerce store in a help desk app. It helps to speed up your response time thanks to organization and automation, and gives you the tools to monitor order status, your response time, and make improvements to your customer service overall. When combined with Shopify’s robust ecommerce solutions, Gorgias helps you to create an effective online store that emphasizes customer experience and brand loyalty.